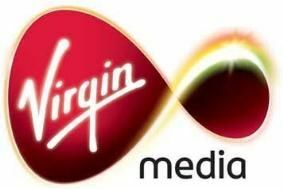 Virgin Media files complaint against Project Canvas | What Hi-Fi? Virgin has lodged a complaint with industry regulator Ofcom, complaining that Project Canvas – which aims to bring video-on-demand services to Freesat and Freeview – is "anti-competitive, restricts consumer choice and jeopardises the future development of next-generation TV in the UK". The cable TV company argues that the six partners in Project Canvas – the BBC, ITV, Channel 4, BT, TalkTalk and Arqiva – have not stuck to their original objective of creating a set of open standards for the delivery of on-demand TV which anyone can join. "The joint venture partners are creating a proprietary closed platform which they control," says Virgin. The company is also calling on the Office of Fair Trading (OFT) to step in on the grounds that the venture breaches the Competition Act. Virgin says its decision to file a complaint with Ofcom "was not taken lightly. We have worked with both the BBC and their joint-venture partners successfully in the past to bring exciting new services to consumers, such as when we were the first to make BBC iPlayer available via a TV screen". "However, the Canvas partners have significantly exceeded their original claims to be creating a common set of open standards which could have been improved upon by others and are now intent on controlling every aspect of how people watch TV. We strongly urge Ofcom, supported by the OFT, to examine Project Canvas thoroughly and its clear anti-competitive behaviour." BSkyB has also been a big critic of Project Canvas, but is still deciding whether or not to file an official complaint with the authorities. Retailers and manufacturers have also criticised the project. Earlier this year the OFT gave Project Canvas clearance and the plan was approved by the BBC Trust. Ofcom is expected to decide whether or not to launch a full Competition Act inquiry within the next two months. In the meantime, the Project Canvas partners can continue to work towards a launch of the service.